This was a pretty cool shoot. 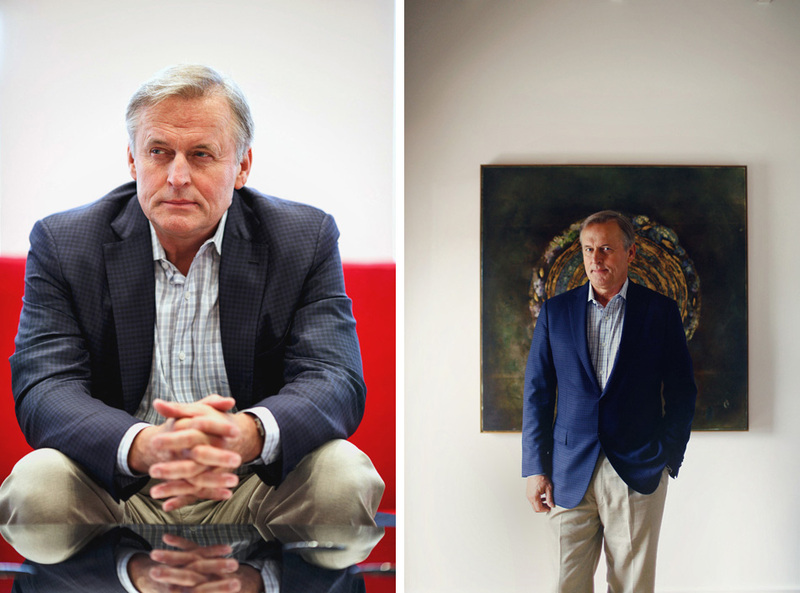 I got to go to Charlottesville to photograph superstar author John Grisham for a story about his methods, past, future, and most importantly, his current book “Sycamore Row.” This is the handsome Southern Gentleman himself in what looks like a stellar napping/reading nook in his front office. 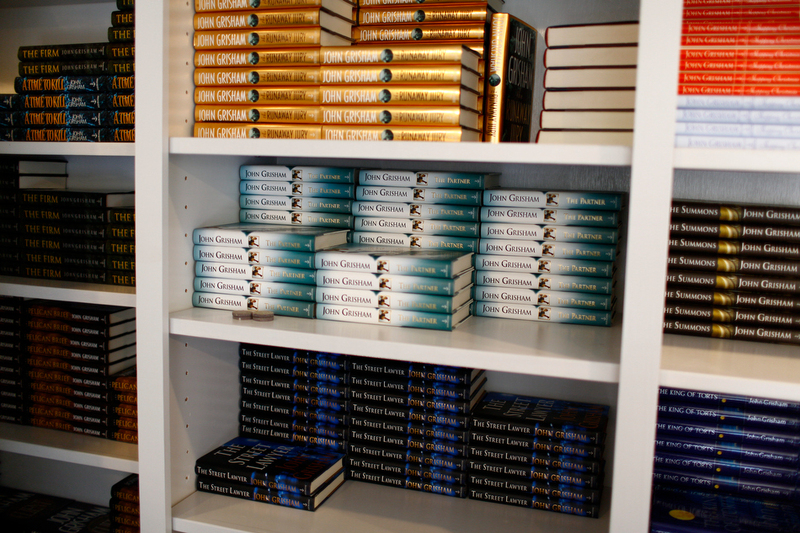 Here are the books, unreleased at the time, in a box in his secret back office. The front office was gorgeous and streamlined and full of light- just perfect for me. The back office was not for visitors and was where I’m guessing actual work gets done. It’s dark and full of books. 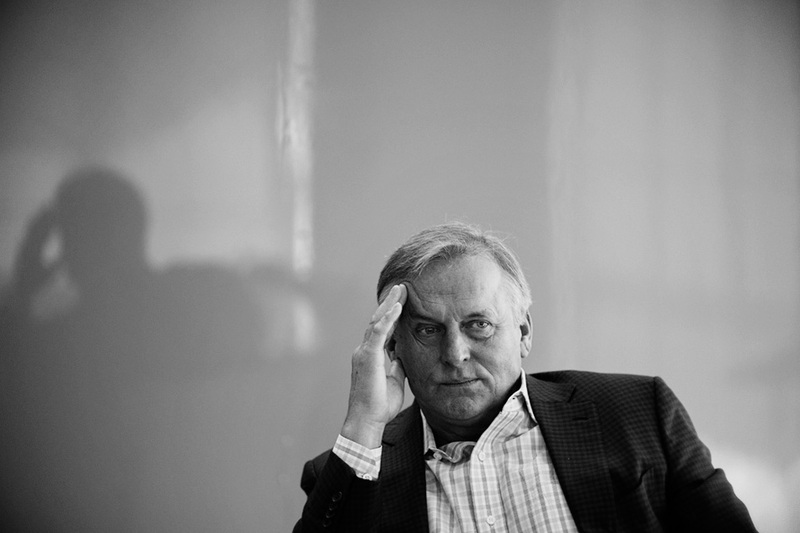 Thousands upon thousands of John Grisham novels in every language known to man. Fascinating space, but a bit off-limits. 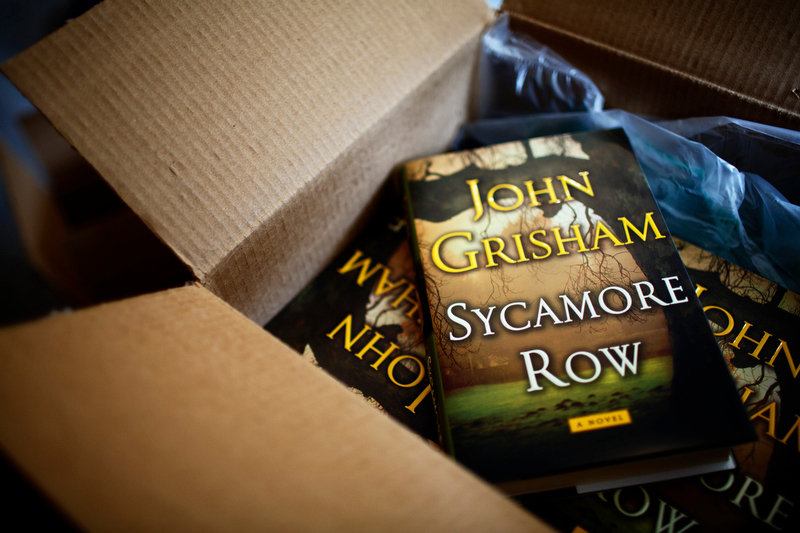 “Sycamore Row” is actually a sequel of sorts to his first novel, “A Time to Kill.” Even though he stopped practicing law for a living many moons ago, he still has the bearing of a successful Southern lawyer. Reminded me a bit of John Edwards minus the politician- but I mean that in the best possible way. There was a time when Mr. Edwards was immensely likable. This shoot was scheduled for the morning after Tom Clancy passed away, and I grew curious. Had they been close? Were they rivals? What was I getting into tomorrow? 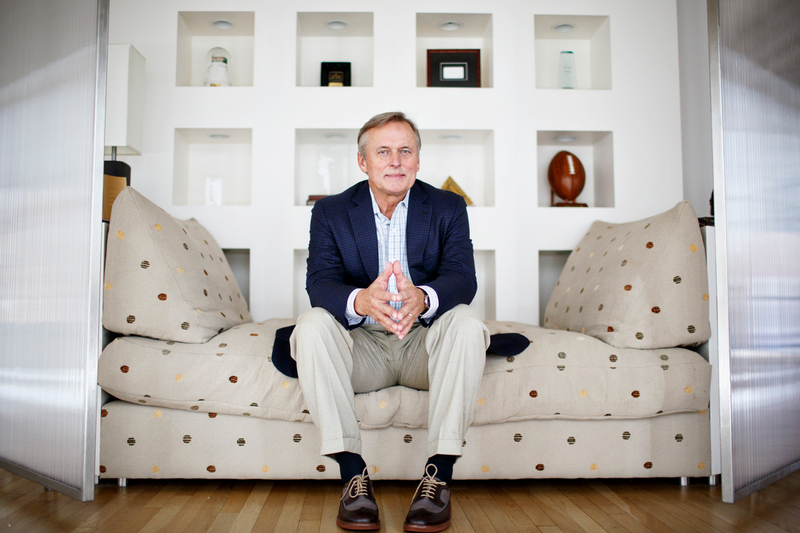 Who was John Grisham, really? My research led me down a rabbit hole where I discovered that Tom Clancy had been the bestselling author of the 80s, Grisham, the bestselling author of the 90s, and both were in a special club of literary superstars that had sold 2 million copies of a book on its first printing. The only other member is J.K. Rowling. Of course, this tells me nothing about the man himself. Having arrived a day early to prepare, I took the opportunity to ask the locals about him and heard nothing but unqualified praise. The superlative “nicest” was thrown around quite a bit. My way of carefully asking about his relationship to Clancy was to inquire whether authors tended to be close friends with other authors. The answer? Not really, but he does consider Stephen King to be a good friend. This is a shot from the back office. 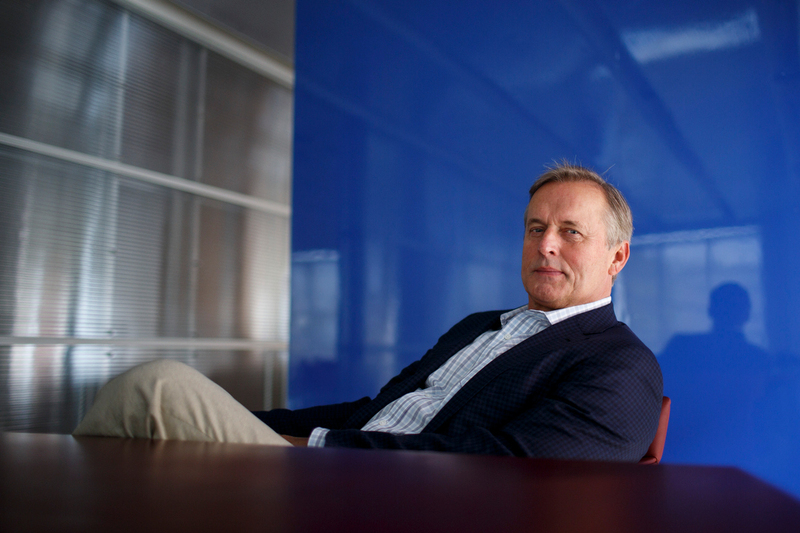 His secretary fields a metric ton of requests from organizations hoping to include a signed Grisham novel in their silent auctions and the like. This is Grisham mid-interview. When I greeted him in the morning and asked him how he was, he disclosed that he was running on two hours of sleep. That’s some brutal insomnia right there. I can make the most sleep-deprived individual look bright and sunny (see picture 1) but I love this frame because it reminds me of that universal human longing for lost sleep. We’ve all been there. Posted on 11/01/2013 by Melissa Golden. This entry was posted in On Assignment, Portrait, Wall Street Journal and tagged Charlottesville, John Grisham, On Assignment, Portrait, Sycamore Row, virginia, WSJ. Bookmark the permalink.